Are you looking for the latest government job Sikkim Public Service Commission? So, we have awesome news for you all because we are going to share all the details in the Sikkim PSC Staff Nurse Recruitment 2018 in the following description of the article. 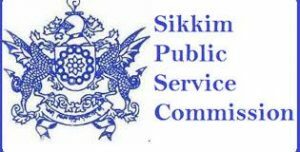 All the passionate contenders who want to do a job in the Sikkim Public Service Commission they may read this article with proper attention and grab all the details related to the vacancy. You may apply for SPSC Staff Nurse Vacancy 2018 from the official website of Sikkim Public Service Commission which is www.spscskm.gov.in. Candidates must check our careerjobs360 official page and stay connected with us. The SPSC- Sikkim Public Service Commission has recently released the official notification for SPSC Vacancy 2018 to recruit passionate and dynamic candidates for various numbers of posts. There are total 261 posts available in the department. The names of the vacant positions available in the department are Staff Nurse Post. The Sikkim Public Service Commission department is looking for the talented and skilled aspirants for the vacant posts. The aspirants can apply online for the Sikkim PSC Staff Nurse Recruitment 2018 from the official website of the department. Aspirants may fill the SPSC Staff Nurse Application Form 2018 through the online mode on or before the closing date that is 30th April 2018. Moreover, details regarding the SPSC Jobs 2018 like the eligibility criteria, requisite qualification, age limit, age relaxation, application form fees, selection procedure and all other information are given below. The aspirants must go through this information before applying online for the recruitment. Educational Qualification: Aspirants who are willing to apply for the SPSC Staff nurse Jobs 2018 they must have completed Class XII examination passed from an authorized Board. Diploma in General Nursing & Midwifery from any recognized Nursing Institute or any higher nursing education & registered with the Sikkim Nursing Council. Age Limitation as on 31.03.2018: The minimum age limit is 18 years and maximum age limit is 40 years. Application Fees: Candidates must have to pay application form fee of Rs. 150/- and PWD Category of candidates are exempted from the application form fee. 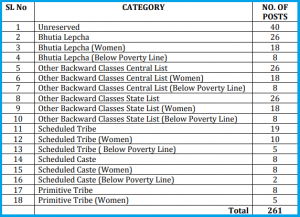 Selection Process: The candidates will be selected on the basis of their performance in the following rounds which is going to be conducted by Sikkim Public Service Commission. Participants who are willing to apply online for the SPSC Staff Nurse Vacancy 2018 they must read out the official advertisement very carefully before applying online for SPSC Recruitment 2018 from the official website of the department. Here, we have mentioned some easy steps for your help in the below post. After that, go to Career option and search out the Sikkim PSC Staff Nurse Recruitment 2018 Notification link on the homepage. Candidates must read the official notification very carefully before applying for the given vacancy. After that, you may fill all the asked information on the application form. Then, Upload passport size photograph and signature on the application form. Now, click on the submit tab button and submit the application form. At last, take a printout copy of the application form and keep it safe for future use. Here, you can check all the details information related to the SPSC Jobs 2018 such as age limitations, required qualification, application form fee and How to apply online etc from the given below in the post. The aspirants can apply online for the recruitment if they qualify the following eligibility conditions. Educational Qualification: Candidates who want to apply for the SPSC GDMO Jobs 2018 they must have completed Bachelor of Medicine & Bachelor of Surgery degree from a recognized board or institutions. Age Limitation: The minimum age limit for the aspirants is 21 years and maximum age limit for the aspirants is 40 years. Application Fees: Candidates must have to pay application form fee of Rs. 150/-. Selection Process: The candidates will be selected on the basis of their performance in the following rounds. Salary Scale: The finally selected participants will get a handsome amount of monthly salary Rs. 9,300/- to Rs. 34,800/- plus Grade pay Rs. 5,000/- per month. For more extra details, candidates can check the official notification. Here, we provide every detail regarding the SPSC Recruitment 2018 in the above article. All the interested and eligible aspirants may apply for this vacancy from the official website of the department.